I recently copied this activity page from my teacher files. It is great for my daughter to review alphabet order and practice drawing those lines. I thought some of you preschooler mommys might be able to use it as well. Click here or go to the hometeacher wiki and you will find this under the holiday tab. Enjoy! 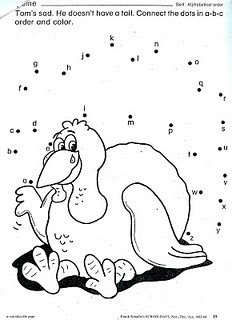 This entry was posted in alphabet, celebrations, learningtime, Thanksgiving on November 11, 2010 by ktoponce.